On this route you have to take a ferry from Dreverna to Juodkrantė. There you will see the most popular sightseeing objects of Juodkrantė and then you will go back to Dreverna. The sightseeing trail in Nagliai nature reserve. On this route you have to take a ferry from Dreverna to Juodkrantė. Then you will cycle to Preila, Pervalka. 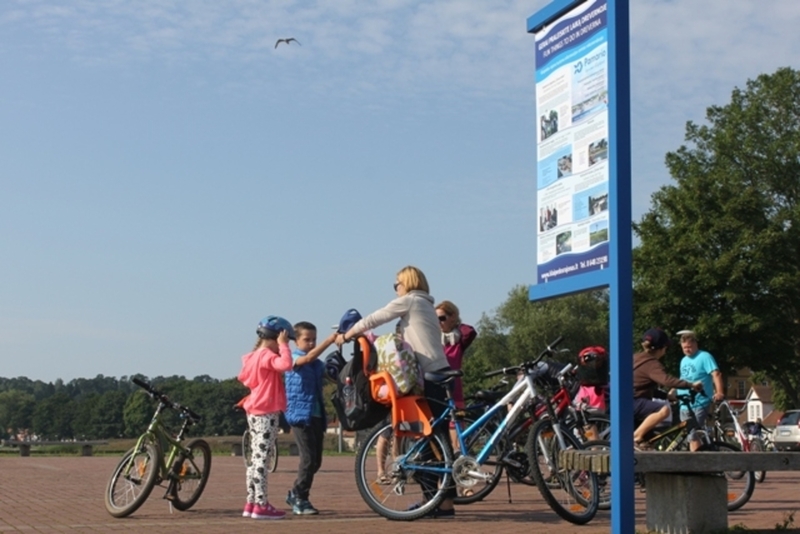 After you have visited those unique villages, you will go back to Juodkrantė, and from there you will take a ferry to Dreverna. On this route you have to take a ferry from Dreverna to Juodkrantė. Then you will cycle to Nida. In the morning you will take a ferry from Nida to Ventainė, visit Ventės Ragas, Svencelė, and then you will go back to Dreverna. The kiteboarding base in Svencelė. On this route you have to take a ferry from Dreverna to Juodkrantė. Then you will cycle to Nida. Later in the evening you will take a ferry from Nida to Mingė village, and then you will go back to Dreverna.